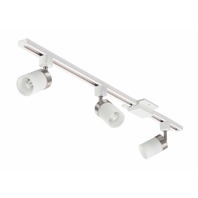 The Track Kit from Lithonia Lighting makes selecting and installing track lighting easier than ever. Everything you need all in one box. This track kit will look great with all decors. 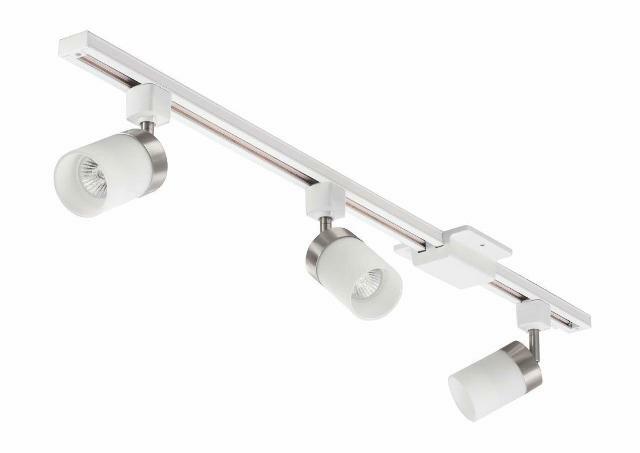 Track heads are adjustable to allow you to change the direction of the light. Kit includes (1) 44in white track (120V), (1) floating feed, (3) MR16 GU10 halogen lamps, and (3) LTHCLRB adjustable track heads. Available in brush nickel finish with decorative ribbed clear glass. Ideal applications include specialty retail, galleries, hospitality and residential 50 Watts, 600 lumens per head. Shade Included: TRUE / Warranty: 1-Year Limited / Lumens: 600 / Life Span: 4,000 hours / CRI: 80.